Our band has been one of the most compiled ever in the history of rock; seems nary a summer goes by without a new BB comp. Most of the Capitol/EMI ones are heavy on the hits, few surprises in there. 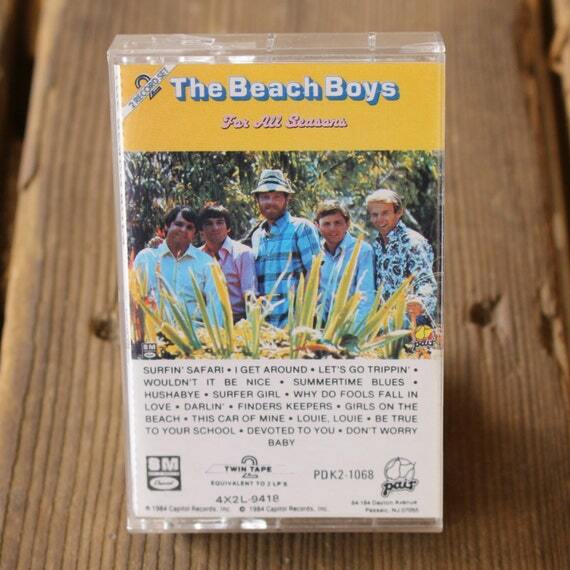 Then there are the "curated" ones like Beach Boys Classics Selected by Brian Wilson. But, if you really want to go out on a limb and try something completely different, you have to look to the Dutch licensee, Disky, who specialize in comps. Often with second tier or under the radar or half forgotten names. They have a particular fondness for the trashier end of the 1970s. What characterizes most of their comps is that they don't give a toss about chart performance; they like deep cuts, and will only give a cursory nod to chart, just enough to shift CDs. 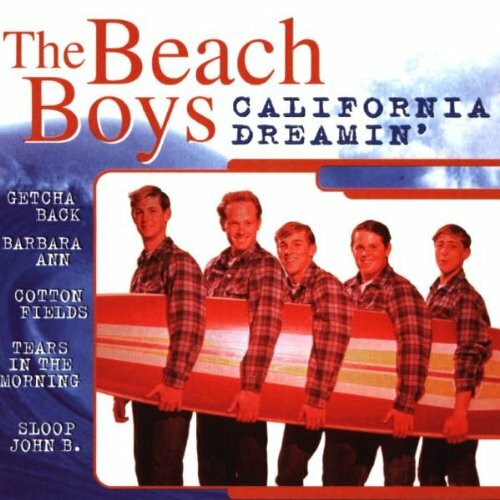 Their 1998 BB comp, "California Dreamin'" is the weirdest thing I have ever come across in the way of BB comps, ranging wildly from filler to chart to deep cuts to gold. Check out the track list and see if you don't agree that this is the one to revisit more than anything else. Amazon.co.uk has it for a penny, ha ha. Comps can be bizarre ... and then one done you stumble on one that is GOLD! I had one of those, it was called "Sunshine Dream". First time I heard Pet Sounds songs, blew my mind. I was more familiar with 70s stuff, because I had bought Ten Years of Harmony prior to that one. 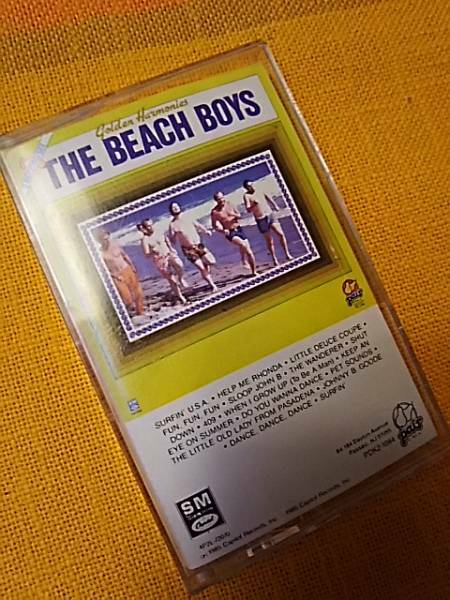 I only had two beach boys CD's as a teen and this was one! I got rid of it yonks ago and didn't realise it had so many good tracks on it. I only ever played Little Honda and Dance Dance Dance, my two teen favourites. The sound quality was pretty poor. Tony W, I agree with you 100%. The Starbucks presentation was the bomb !!! After many moves I seem to have lost it, but I will NEVER forget Carl's beautiful voice on I Can Hear Music. I'd love to meet the person at Capitol that thought a compilation made up of a bunch of '64 "Concert" tracks, but then with "Pet Sounds" thrown in, was a great idea. 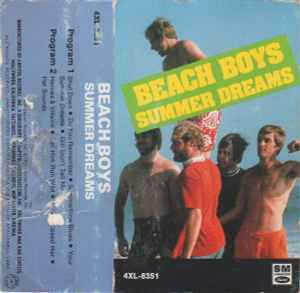 I have fond memories of this compilation; it was a favorite decades ago blasting the cassette. 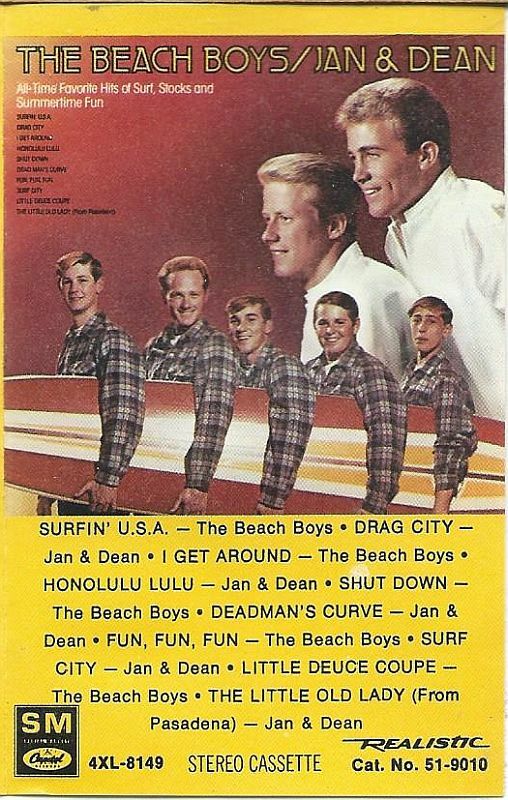 It was probably the first mainstream compilation that honed in on some of the later 60s material. While it wasn’t wildly successful, I believe “Sunshine Dream” did, unlike those “SM” comps, actually squeak into the Top 200 album chart. 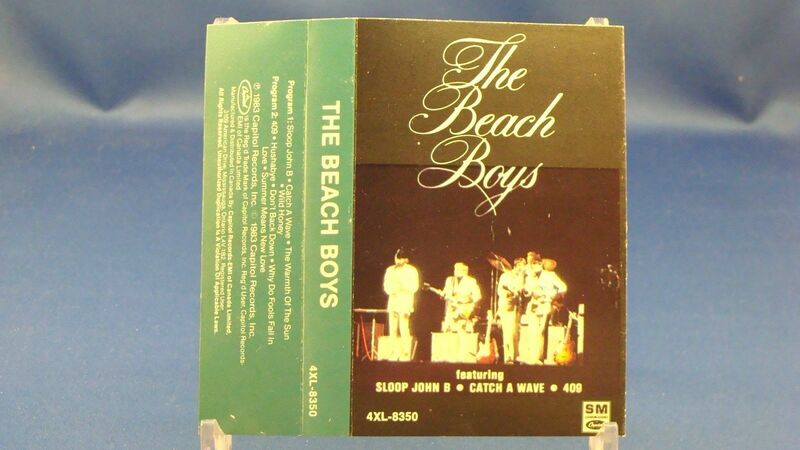 It included the #12 (awful) “Beach Boys Medley” single from 1981 as well. Some of those comps look like the result of someone pulling song titles out of a hat - random to say the least. I wonder how close they came to copyright infringement with the Disney Mickey ears at left. That cover alone is worthy of more discussion. Yowzers. And what's with the pizza? But isn't the point of compilation to be random song collection? Why people expect famous song titles, nice sequencing/ segue, things like this when discussing comps? The random, the better. No, tracklistings for compilations shouldn't be (and rarely are) "random." 4. 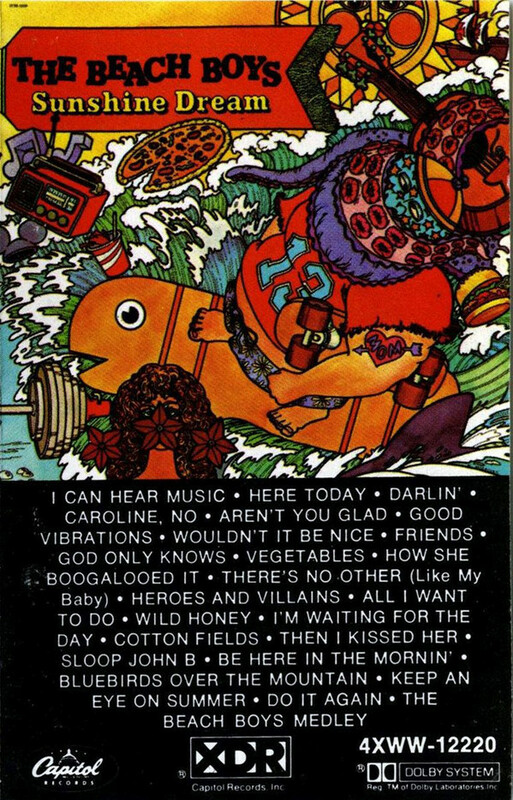 A thoughtfully-curated (by band members or others) track selection, often mixed with other criteria such as "other noteworthy songs not already on a compilation". This would be something like the 2007 "Warmth of the Sun" comp which was essentially a listing of stuff not already on "Sounds of Summer", curated in part by the band members. 5. On the budget/cheapo side, there are comps that entail "the only stuff we own the rights to and/or can license." This would be stuff like old release of the Hite Morgan tapes, releases of the Beatles' Tony Sheridan stuff, etc. But generally, with the partial exception of #5, a label is going to try to put some thought into something because they're going to try to craft something that people will want to buy. The reason some of those 80s Capitol comps seem bizarre is that the listings read like #5 above, only Capitol actually had the rights to all of the 60s catalog. There's no clear criteria beyond the stuff being 60s Capitol material. When they put the instrumental "Pet Sounds" on an album titled "Golden Harmonies", you have to guess the compilers aren't putting much thought into it and are essentially just trying to get cheap "Beach Boys" branded product into stores (and often not record stores, but other ancillary retail venues like Radio Shacks, gas stations, drug stores, etc., which is where those cheapie BB cassettes were often found). The only set of criteria the compilers of those 80s sets might have been using was to attempt not duplicating a track found on another recent comp. But even then, there appears to be some amount of overlap. Yeah Summer Crush was the name of the Starbucks release ... on the link you provided it says distributed by Starbucks.